A new approach to leadership training is generating buzz at the University of Indianapolis. The Institute for Postindustrial Leadership presents a new paradigm for leadership in the 21st century, and local businesses are already reaping the benefits. The seminar is just one example of how the Institute is engaging with the central Indiana business community. 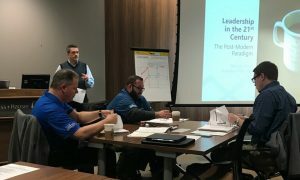 The Institute for Postindustrial Leadership supports a new paradigm of leadership principles – separating leadership from management by debunking traditional myths of leadership that have remained virtually unchallenged since the 1920s. “Leadership is being redefined, reconceptualized, indeed revolutionized – and most people are not even aware of it,” said Chodkowski, who designed the Institute’s LEAD Program – The Journey of Discovery, a series of leader education and development workshops. Today’s business world is complex, and in order to be effective, organizations need to look beyond the traditional model of management training. According to research conducted by the Institute for Postindustrial Leadership, it turns out that a leader’s style, which is highly regarded in the traditional leadership research approach, is not all that important. The leadership paradigm has a more direct effect on leader behavior, subordinates’ perceptions of leadership behavior and organizational culture. “When you ask people about leadership, they’re really thinking about the leader’s traits and characteristics, not the process of leadership. This is a leader-centric view of leadership. We say the leader doesn’t equal leadership,” Schindler said. “Our approach doesn’t focus on trying to change the leader’s behavior. It focuses on cognition and mental models and neuroscience. We want to change underlying assumptions about the way people think,” Chodkowski explained. The Institute sets out to challenge those assumptions through its research and training programs. Their first research project was conducted at Caterpillar Remanufacturing Division in Franklin. Other clients include the Japanese firm Nidec in Shelbyville and Endress & Hauser in Greenwood. At Caterpillar, the Institute worked with facility manager Don Kinsey and human resource manager Kevin Poad, who saw the partnership as an opportunity to engage their organization in an exciting research project and involve their managers in a unique personal growth and professional development experience. What followed was a nine-month project which included survey feedback, leader education, one-on-one leader coaching, and a master class customized specifically for Caterpillar to address the application of postindustrial principles, the integration of functions and departments, and the alignment of business strategy with organizational culture. The Institute, which was formed in 2017, is seeking to grow its partnership opportunities. “We’re looking for more research partners and organizations who might want to investigate exposing their leaders to the postindustrial paradigm through a workshop methodology,” Schindler said. 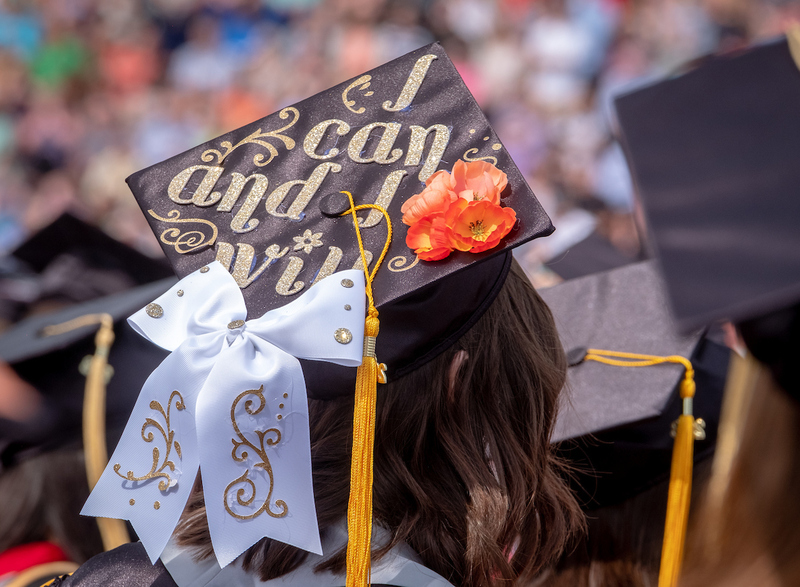 In addition to building relationships with new community business partners, the Institute also welcomes nonprofits as well as University faculty and students who are interested in learning about the paradigm. “We’re looking at all sectors for potential research partnerships. We’d love to form learning alliances in the service, finance, and health sectors, for example,” Chodkowski said.